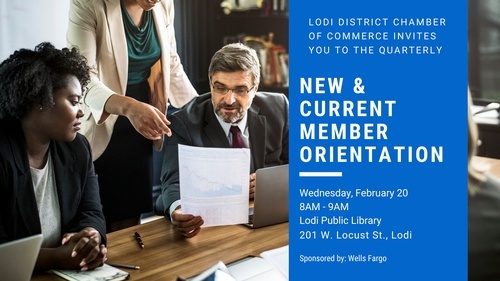 Learn more about your member benefits at the quarterly New & Current Member Orientation on Wednesday, February 20! Hear about the importance of your Member Information Center, get to know our committees and staff, and find ways to get involved with the Chamber! Be sure to bring your business cards! Coffee and Pastries will be provided. Sponsored by Wells Fargo.